I have three little boys, and my older girl is growing up fast. Maybe that's why I get so excited when I get to try out cute things for girls that help grow their imagination and let them play together! 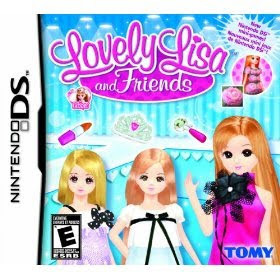 Lovely Lisa & Friends is now on Nintendo DS with a new game for girls based on the popular Lovely Lisa dolls from Japan. This game lets kids of all ages buy clothes and accessories, play mini games to earn points, and take pictures (DSi version only) to make your own styles and patterns! 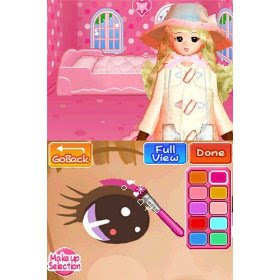 Sweet, age-appropriate activities make this game a fun way to introduce girls to fashion and dress-up games that have become so popular for gaming systems. Not only can players paint nails and apply lipstick, they can role-play important values, too! 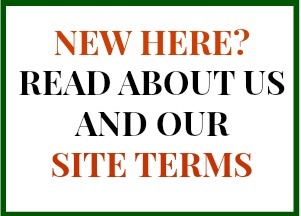 (Help mom with cooking and groceries or give Dad a hand with light construction, for example.) We were also impressed with some of the career choices for the game -- nursing, babysitting, cake decorating, etc. This fun game is available now from most online retailers, including Amazon (aff) for around $29. Wanna Win? 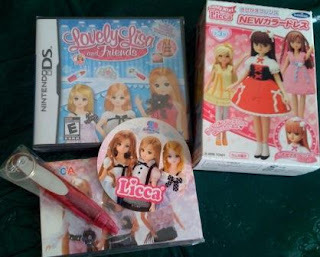 We have all kinds of Lovely Lisa & Friends prizes to give away! 2 Grand prize winners will receive everything above plus a A Lovely Lisa mini doll! *Sample game was received for this post. I want to win because my daughter's 9th birthday is next week! What a great gift this would be! :) Thanks for the contest! I would like to win because I think my daughter would enjoy Lovely Lisa & Friends. I have never heard of them before but it looks like something right up her alley. 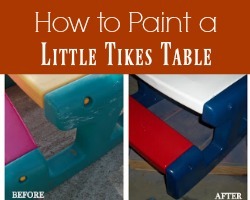 This is something my daughter would really enjoy. Her birthday is coming up so this would be fantastic. I want to win because my daughter got a DS for Christmas but she hardly has any games for it! I would like to win this for my neice. I like that it is a game all of us could enjoy playing with her. This sounds like such a cute game, perfect for my daughter. I'd love to win this especially because it's girly. We also have two sons and it seems that most of the toys in our home are geared towards boys or both girl and boys. Not just for girls. I like the alphabet puzzle the best. I would love to win this for my niece. Thank you. I want to win because the prize package is perfect for our niece! Liz is a total girly-girl with a new DS and few games. She would enjoy this prize. This has all the elements my girls love: fashion fashion and more fashion! Thanks! i want to win this, so i can give it to my grandaugther, who would love this game!!! I think this would make a nice birthday present for my daughter. I'd like to win. This would be a great birthday gift for my daughter. She sure loves her DS. I want to win because I think my daughter would really like this. I want to win this for my grandaughter because she got a Nintendo DS from Santa and she is a little fashionista. I know she would love to have this. I'd love to win for my niece, she's turning 8 soon and she loves dolls and anything girly! I would love to win because it would make my nieces really happy! I want to win cuz my nieces would love this. They love makeup & dress up girly stuff. I would love to win this for my daughter, she has a pink ds & she only has a few games. So this would be great for her to play. She needs a new game! My daughter would LOVE this!! She just got a Ds for her Birthday. Thanks for the chance. Perfect prize for my girls. Please count me in! I would like to win this for my daughter. It would make a great gift! I want to win this because my daughter loves playing new games on her DS. I think she would also love to have the extras that come with it. She is very girlie. And it would be just in time for her birthday...! Thank you for this awesome giveaway. My niece would love this, and her birthday is coming up! I would like to win this for myself because I don't have any daughters only 2 sons. Daily entry for my girls! Thanks! Another daily entry for my girls, who would love this prize! Thanks. I want to win because my daughter would love to have this! I would love to win this for my fashion-loving niece! Well, I have two pre-teens that are a light of my life! Need I say more? This would make their days! I'd love to win this for my daughter!! Daily entry for my sweet girls! Thanks! I'd like to win because both of my daughters would enjoy this game. I want to win this for my niece who loves these games. Daily entry for my lovely girls! Thanks. I think this would be great for my neighbor sammie who comes over after school and homework and hangs out with my three year old - just for fun - leaving me free to do some things around the house or be on the computer. This game I know would be love by my cool girl, Breannah. My girl would really enjoy this set! I would love to win this for my friends little girl for her birthday! Another daily entry for my girls. Thanks! I want to win because my daughter has a DS but only a couple of games...this would be a nice surprise for her. I want to win this because my 9 yr old daughter would go nuts if I could give this to her. Thank you for the opportunity. My daughter's birthday is in a couple months and she's getting a DS, so I'd love to get her a fun, age-appropriate game for her! I would love to win this for my daughter's birthday coming up in 2 months! She would go nuts over it! My tween has five DS games, and she got the console two Christmases ago. She's very careful with her things (despite a toddler brother who tries to sabatoge her efforts), and I think it'd be neat to put this in her Easter basket. My niece would love this game and I'd love to win this for her. My friend's daughter got a DS for Christmas but they are strapped on cash and she only has 2 games for it. I'd love to give her this one because I think she'd enjoy it. I'd love to win cause I think my daughter would love it. My girls would love this. Thanks for the giveaway! I would love to win this for my daughter. She'd love it, no doubt! Thanks so much! One last daily entry for my girls. Thank you! 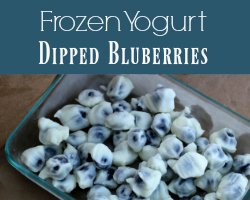 My granddaughters love this stuff. I want to win because this prize looks very nice! I wanna win this because my 10 year old daughter would love it and I'd like to surprise her with this awesome prize.